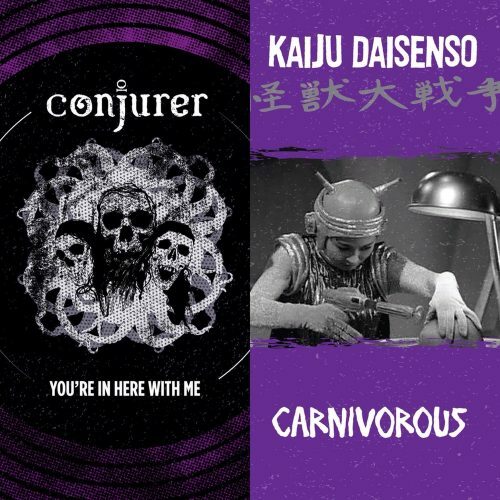 A little late to the game here, but I recently had the pleasure of discovering this split from two devastating sludge acts, Conjurer and Kaiju Daisenso. Originally released as a split flexi 7” last November via SMALLHANDFACTORY records, both tracks are now available on Bandcamp as well. 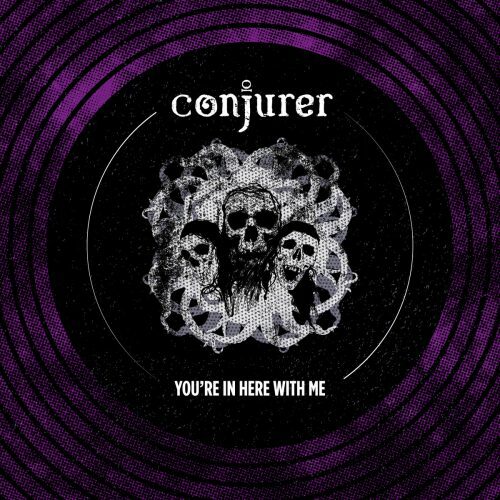 Conjurer are a based out of Indianapolis, and this track marks an impressive follow-up to their formidable full-length Old World Ritual. Under the title “You’re in Here with Me”, Conjurer spill forth burly, mid-paced sludge riffs with moments of psychedelia peeking out through the bile. There is a palpable sense of menace created as lead vocalist Dustin Mendel repeatedly barks out lines like “Taking the long way down” and “You’re in here with me” in a mantra-like rage. This song succeeds in being simultaneously compact and epic, and certainly leaves an aching hole that can only be filled with another full-length. 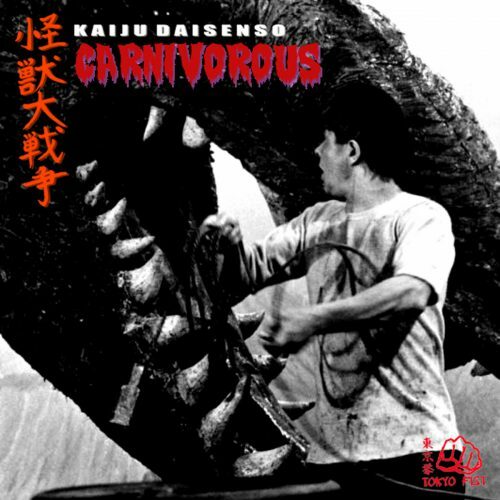 Kaiju Daisenso are located in the vicinity of NYC and include members of the mighty Unearthly Trance and Helen of Troy, among others. Their take on the sonic down ‘n’ dirty is much more Punk/HC-inspired, almost Powerviolence-ish at times, bringing to mind acts such as Noothgrush and Brainoil. And they aren’t afraid to throw in some vicious blasts to their sludge stew either. While this was my first encounter with these guys, this track sent me searching for more, and I can certainly recommend their more recent 8-song release Radiation Scars. So yeah, better late than never. These two bruisers are available for a buck a piece on Bandcamp. So get right with this wrong world and put these in your regular rotation right away.